Provides minerals and vitamins for herbivorous reptiles in one easy to use product. 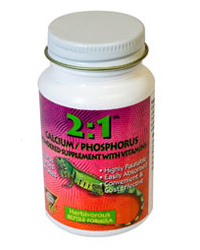 Supplies the proper 2:1 ratio of calcium to phosphorus required by herbivorous reptiles. High palatable and easily absorbed.